Advanced Optical Sensor, At the heart of Rival is the Avago ADNS 3310 optical sensor. The 3310 promises zero hardware acceleration, offering true 1:1 tracking and precise movements no matter how fast things get during the heat of battle. The CPI is best-in-class with adjustments from 50 to 6500. Fine Tuning, When it's time to get competitive you can really dial-in your settings thanks to SteelSeries Engine 3. 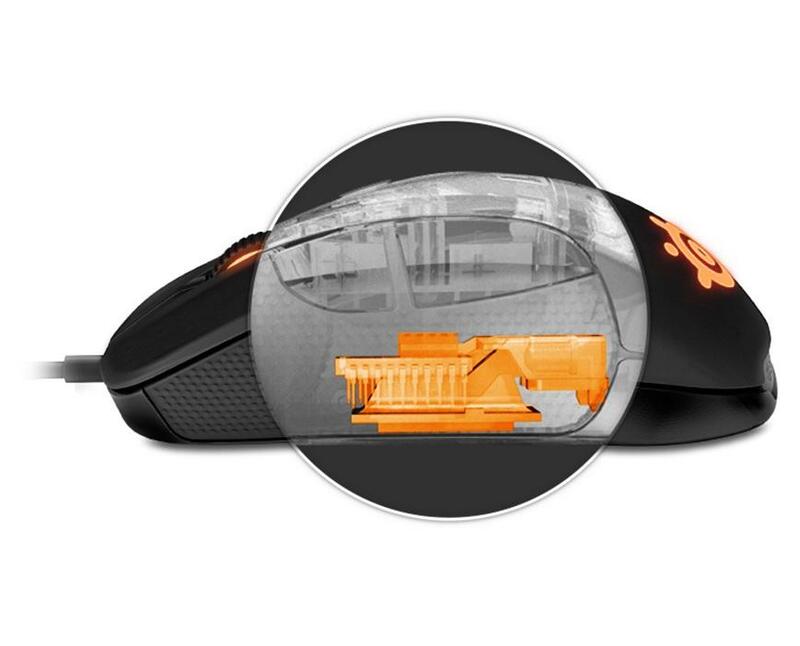 Adjustable CPI, programmable buttons, polling rate, angle snapping, acceleration, and deceleration are among the customizations that will make the mouse perform as you see fit. Brilliant Illumination, Rival features two independent lighting zones that are capable of 16.8 million colors. Colors can be adjusted in each zone, per specific profile, game, or application. Four brightness levels and three lighting effects to choose from-Steady, ColorShift, and Breathe-will help make Rival your own. 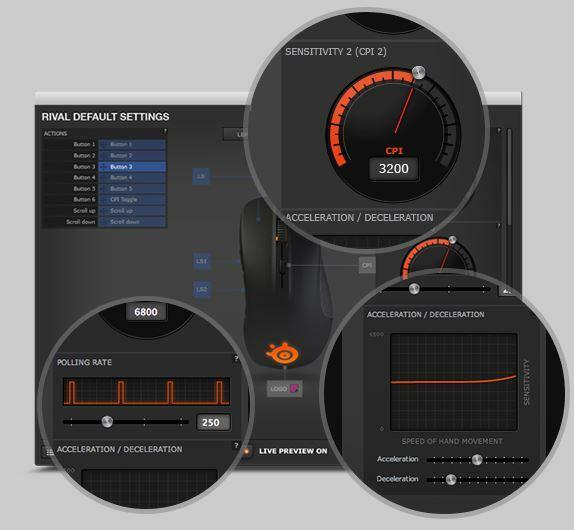 SteelSeries Engine 3, Our new software suite is where you take control of the mouse and its many features. This new version of SteelSeries Engine gives users a unified application to control all of their SteelSeries products, offers cross platform support, and will feature a cloud syncing system to make sure you always have your Rival settings. 3D Printable Nameplate, Rival comes with 2 interchangeable nameplates. To switch them out, simply pry the existing one off at either end (a fingernail or the tip of a pen can do the trick) and pop the other one in. If you are handy with a 3D printer, you could even make your own nameplate. SteelSeries Rival was built from classic gamer preferences to make this mouse the ultimate solution in ergonomic feel. 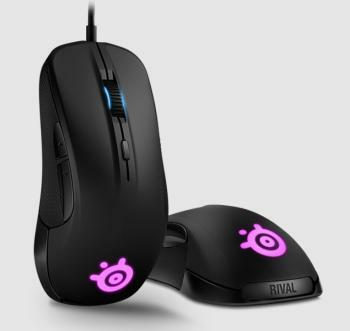 The SteelSeries Rival Optical Mouse reigns over the competition thanks to a cutting edge optical sensor, newly developed switches engineered by SteelSeries, and a suite of tweaks to give you the edge over your rivals. 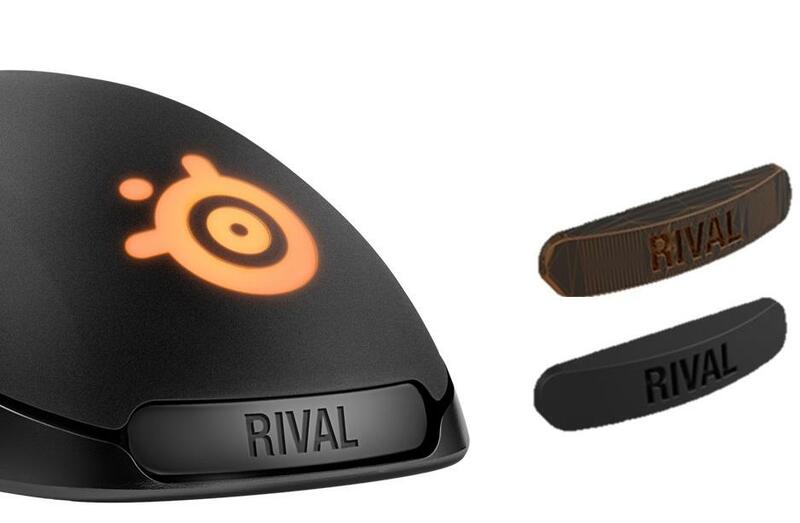 Rival’s shape was molded from some of the most iconic gaming mice of the past. The right-handed orientation, a raised back end, and sleek contours ensure a comfortable fit. Soft-touch paint offers a matte finish while still feeling incredibly smooth. The anti-sweat coating helps to maintain great contact even during intense gaming sessions. The rubber grips are not a sticker, but direct injected molded rubber for better control and grip. We also engineered Rival with ergonomic button position and size so clicks and movements feel natural, quick, and don’t take away from gameplay. 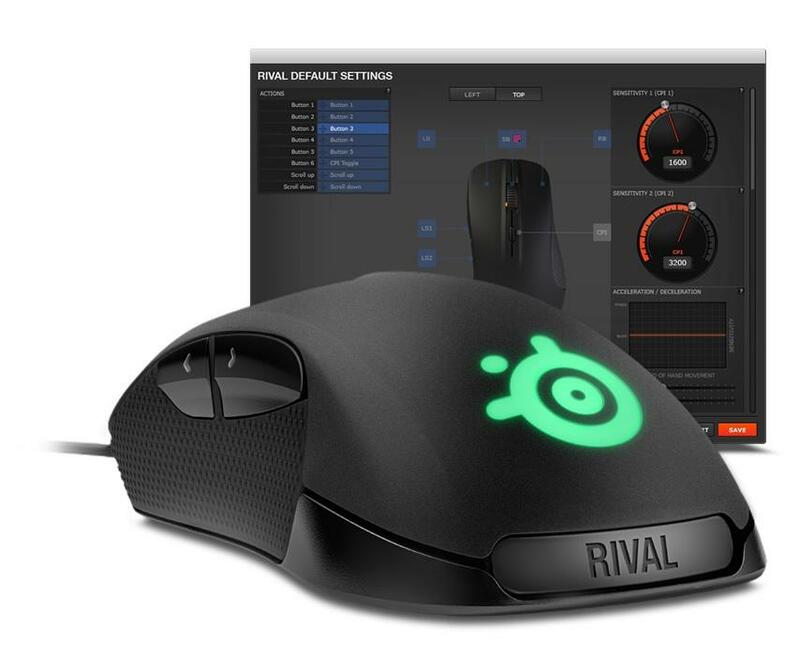 Rival is incredibly customizable with 16.8 million color, 2-zone illumination, a 3D printable nameplate for individuality, and SteelSeries Engine 3 for finely-tuned performance adjustments. At the heart of Rival is the Avago ADNS 3310 optical sensor. The 3310 promises zero hardware acceleration, offering true 1:1 tracking and precise movements no matter how fast things get during the heat of battle. The CPI is best-in-class with adjustments from 50 to 6500. 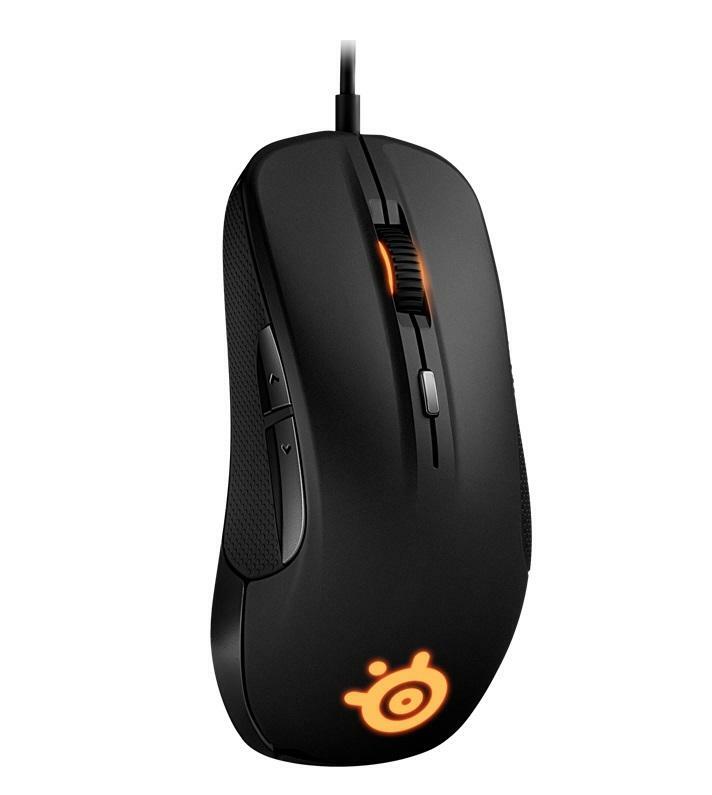 SteelSeries engineered switches have a life span of over 30 million clicks and are the high-speed conduit between the sensor and mouse clicks. The audible mouse click is subtle, while delivering quick, tactile responsiveness. When it’s time to get competitive you can really dial-in your settings thanks to SteelSeries Engine 3. 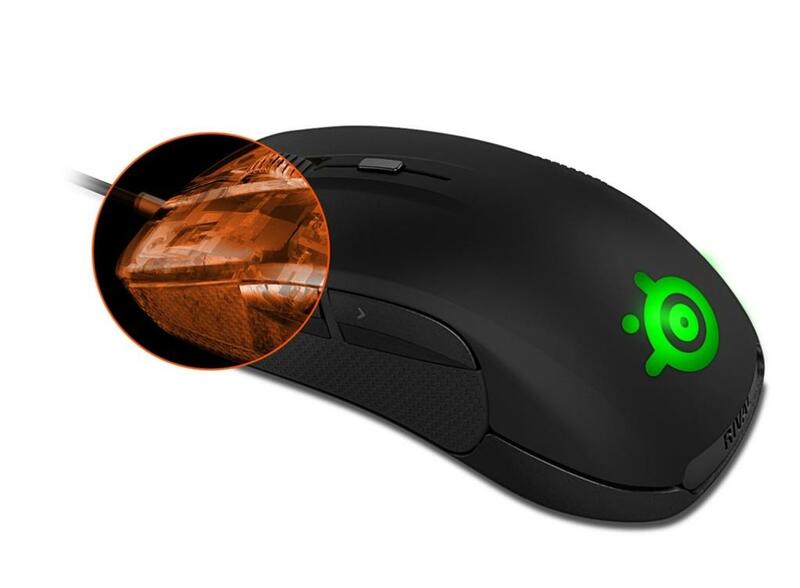 Adjustable CPI, programmable buttons, polling rate, angle snapping, acceleration, and deceleration are among the customizations that will make the mouse perform as you see fit. Our new software suite is where you take control of the mouse and its many features. This new version of SteelSeries Engine gives users a unified application to control all of their SteelSeries products, offers cross platform support, and will feature a cloud syncing system to make sure you always have your Rival settings. Rival features two independent lighting zones that are capable of 16.8 million colors. Colors can be adjusted in each zone, per specific profile, game, or application. Four brightness levels and three lighting effects to choose from—Steady, ColorShift, and Breathe—will help make Rival your own. Rival comes with 2 interchangeable nameplates. To switch them out, simply pry the existing one off at either end (a fingernail or the tip of a pen can do the trick) and pop the other one in. If you are handy with a 3D printer, you could even make your own nameplate.